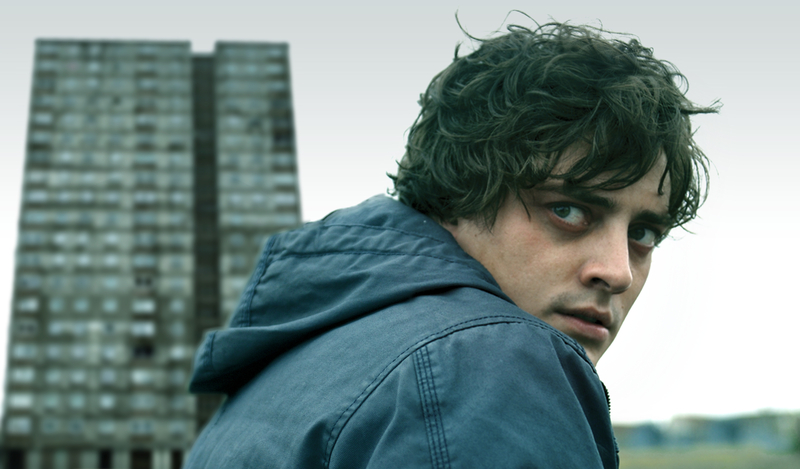 Aneurin Barnard is having a busy summer: as well as appearing as Richard III in BBC’s historical drama The White Queen, the Ogwr-born actor has a supporting role in Iain Softley’s amnesia thriller Trap for Cinderella and stars in Citadel, an intense horror film in which he plays an agoraphobic single father who has to confront the strange gang who killed his wife. Speaking to us from Dublin – where he is shooting forthcoming miniseries Moonfleet opposite director Ray Winstone – Aneurin spoke to us about his many projects. It must be strange for you to have three lots of things coming out at once? Yeah, I never get my head around it really: you spend three years working on stuff and then they all decide to appear at the same time. It’s the way the business works, I suppose. I really like that it gives people a chance to see me playing different roles in different genres, though, hopefully in a convincing way. Was Citadel difficult to film? It seems like it must have been a nightmare to stay at that level of panic all the time. I’m a bit method sometimes if I need to be, and to stay in that tense place for the whole shoot was wearing and tiresome, but I enjoy exploring sides to me that I don’t necessarily touch upon in my normal life. There’s one scene where you basically beat up a cupboard. Did that hurt? You’re really going for it. Well, it wasn’t a fake cupboard or anything like that – I’m a big believer in doing things for real. That moment wasn’t scripted, it was just the reaction that came out of me. You don’t really think about it hurting at the time, you’re just concentrating on trying to make it truthful. I was trying to show the desperation and frustration of this young man. With the role I was living in the present because there was no other way of acting it. Sometimes that works and sometimes it doesn’t. Do you prefer being part of an ensemble, like Trap for Cinderella, or something like Citadel, where you’re in every scene? I like being a part of an ensemble but if I had to choose I’d rather have all the weight on my shoulders. I enjoy being in a place where I have to do my job to the fullest of my capabilities – I can’t be lazy and have to be on top of everything. It brings out my best side, really. I’m happiest when I’m working hard. I think it’s a mentality I have from my parents. I love to be the first person in the door and the last one out. You grew up in Wales. Do you prefer to use your natural accent? When you go for a role does that come into your mind at all? It depends on the job itself and the character really. When I was playing David Bailey in We’ll Take Manhattan, for example, I was playing someone from South-East London, so I couldn’t really show up with my own Taffy voice. I don’t really have a preference, though: I like speaking the way I do but I’m also interested in how a voice can define a character. When I was playing Richard III I changed my voice from the beginning of the series to the end – my pitch changes as the character gets older. From a technical point of view that’s what I enjoy. Richard III in The White Queen is very different from the Shakespearean version. Did the comparison enter into how you portrayed him? Absolutely. I wanted to go in the opposite direction, to play the historical Richard III rather than the Shakespearean great, bastardised version. Shakespeare wrote for the Tudor Household, which was the other side in essence, so they manipulated Richard in a way that wasn’t true to the man himself. Richard wasn’t as bad as everyone made him out to be – he was a man put in a very difficult position and was actually a great, loyal leader. It was important for me to try to portray him the way I thought he would have been. 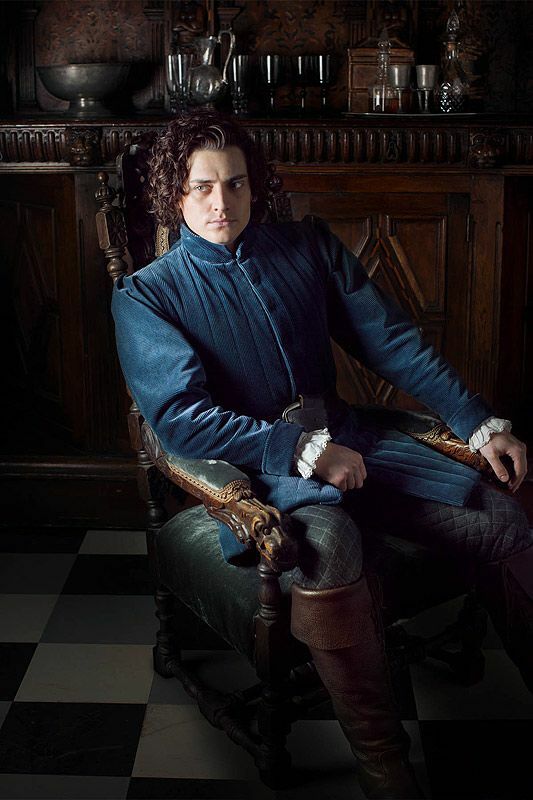 There are differences in The White Queen too, of course, to make it more exciting for the audience, but history tells us that he isn’t this hunchbacked demon that betrays everyone. You’ve got a background in singing – you won an Olivier Award for the musical Spring Awakening and sang in the film Hunky Dory – do you wish you could do more of it? For me it’s about the work, and what I think will stretch me and give me a chance to do something different. If that’s singing then great, but you won’t get an album out of me or anything like that, even though I write music and I still play for myself. It’s just another tool you have as an actor. If I’m performing in a role that requires me to sing then I can bring that to the table and enjoy it, because I really love doing it, but I’m an actor first and foremost.